The hairstyle can make the look. Seriously, what’s more important than your hair? Okay, so maybe a few things do actually trump taming the mane, but, still, it’s a vital part of most women’s lives. In fact, American women spend a cumulative average of six days per year doing their hair, according to Shape. Let’s say you started pampering your locks in 1987, you would have already spent six long months just on your hair by 2018. Of course, this includes washing, drying, coloring, and styling — all of which take copious amounts of time individually. Having your hair dyed at a salon could take hours, for example. Not to mention the painstaking process of blowing out your hair — that alone has felt longer than six days. Still, women have always taken, and probably will always take, time to make their hair magnificent. Need proof? Here’s a look at some of the most popular hairstyles worn the year you were born. Try to guess which one would take you the longest to pull off. The years 1953 and 1954 were the it time for playful curls. First, Ava Gardner brought the trend to Hollywood. According to her biography, Gardner was only able to secure bit parts when she first came onto the scene. However, by 1946, she was well on her way to becoming a household name. That year she played the iconic role as Kitty Collins in The Killers. In the years that followed, Gardner built up an even greater repertoire with works like The Hucksters, Show Boat, The Snows of Kilimanjaro, and then, in 1953, she received her one and only Academy Award nomination for her role in Mogambo. Her acting may have taken precedence, but her fun hairstyle could’ve won an award as well. Marilyn Monroe also played an important part in popularizing the loosely-curled hairdo. Born Norma Jeane Mortenson, she decided to take up the name “Marilyn Monroe” upon starting her Hollywood career. She dyed her hair blonde and, within a few years, saw the kind of success most people can only dream of. She signed her first movie contract in 1946, then in 1953 Monroe starred in Niagara. That same year, she went on to play Lorelei Lee in the instant hit, Gentlemen Prefer Blondes. Another comedy, How to Marry a Millionaire, came next, followed by There’s No Business like Show Business in 1954. 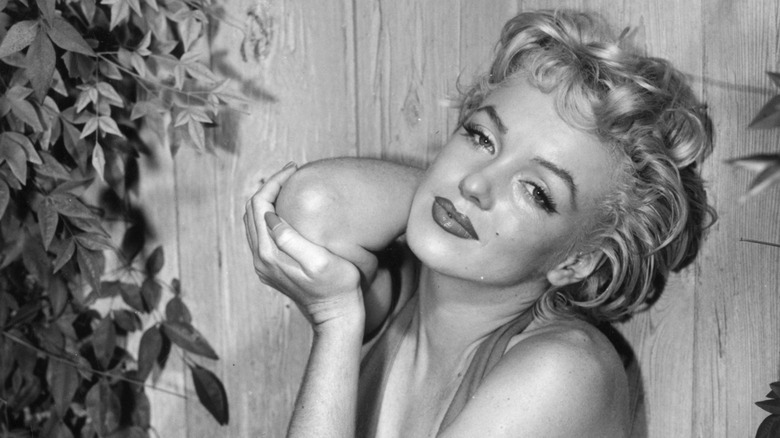 All the while, those platinum playful curls were one of her most recognizable features. Through 1958, shorter hairstyles like that of Gardner and Monroe remained popular. However, not everyone opted for the playful variety of curls. 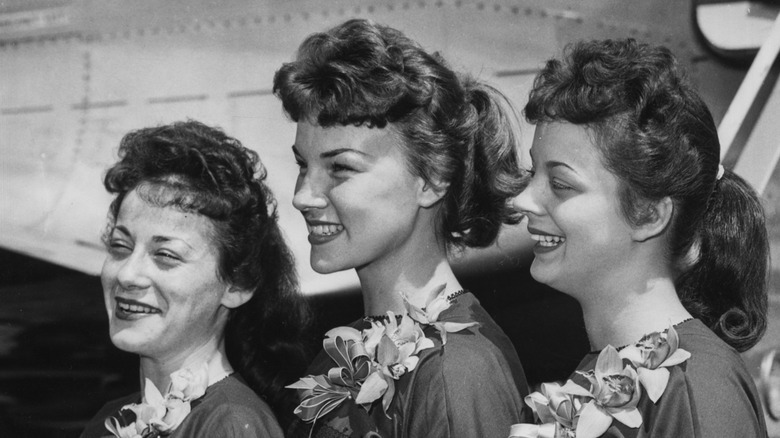 Beginning in the early 1950s, DIY permanent waving kits were available for purchase. According to the book Women’s Hats, Headdresses and Hairstyles by Georgine de Courtais, women who were either too busy to make time for the salon or unable to afford to see the hairdresser could now get their curls, in a variety of styles, at home. Still, many chose Monroe-esque dos. Near the end of the 1950s, longer hair became more desirable and women started to gradually grow out their hair. During that time, you could often see women with pinned back, lightly curled locks. With their hair now longer, women were free to try out some new and interesting styles, one of which being the high ponytail. In 1959, Mattel released their first Barbie doll featuring that very look. It should be noted, though, that the high ponytails of 1959 look quite a bit different than the high ponytails of today. This “signature look” of the late ’50s, as dubbed by Victoria Sherrow, author of the Encyclopedia of Hair: A Cultural History, would often feature a headscarf. 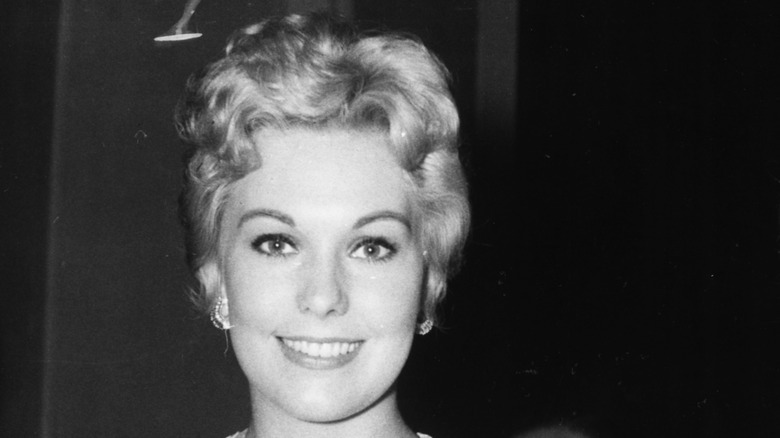 As the ’59 Barbie doll also shows, curled bangs were involved — eek! The hairstyle was so popular there was even a girl group who called themselves the Poni Tails. In 1958, the singing trio ranked eighth place in the “Most Promising Singing Group” category by the The Billboard Eleventh Annual Disk Jockey Poll. Nevertheless, the band only lasted about as long as the hairstyle they were named after, fizzling out of the mainstream with their last hit, “Who When and Why,” in 1960.